Deb Lyons has enjoyed working in the printing and advertising industries for over 25 years in production management, graphic design, and customer service. Before joining Solutions Advisors in 2014, Deb worked as a Production Manager and Graphic Designer for mid-sized agencies in Richmond, VA on high profile accounts including Virginia and West Virginia Lottery, travel and tourism, wireless technology, healthcare and loyalty programs, among others. Deb wears several hats at Solutions Advisors – Production Manager, Graphic Designer and Proofreader Extraordinaire. Her eye for design, attention to detail and commitment to quality is a huge asset to our clients. Always asking “how can we make this better,” Deb strives to produce all marketing materials error-free, on time and on or below budget. 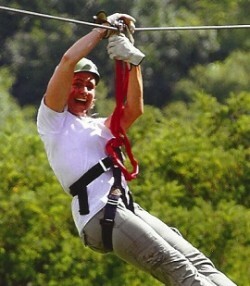 Deb is a former competitive gymnast and outdoor adventure seeker. 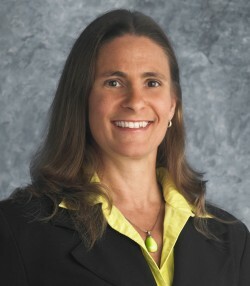 She loves bike riding, backcountry hiking, roller coasters, and zip lining and has five half-marathons under her belt. Her other passions include creating fine arts & crafts, reading about health & nutrition, the New York Giants and her animals. Occasionally Deb can be seen in a yoga stretch or doing a handstand.